Essential:Passed 10+2 or equivalent in any stream from a Govt. Recognized Board/University. ii. Must have minimum 06 (six) months Diploma/Certificate in Computer Application and should be fully conversant with MS Word, MS Excel, MS Power point, etc. Essential: Passed Class 10th or equivalent from Govt. Recognized Board. Age Limit (As on 25.04.2018) :General Minimum 18 years and maximum 30 years SC/ST Minimum 18 years and maximum 35 years OBC (Non-Creamy Layer) Minimum 18 years and maximum 33 years. Selection Procedure: Only those candidates, who fulfill the eligibility criteria mentioned in this notification as on 25.04.2018 will be called for Written Test (Stage-I). 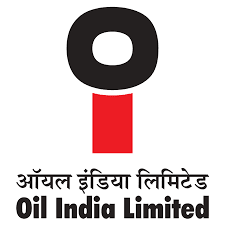 The question paper for Written Test (Stage–I) will consists of English Language & General Knowledge/Awareness with some questions on Oil India Limited, Reasoning Arithmetic/Numerical & Mental Ability and Relevant Knowledge in the course curriculum depending on the post. Last date of receiving application is 25.04.2018. Candidates must submit 02 (Two) copies of recent 03cm x 03cm coloured photographs and self-attested photocopies of the following documents/certificates/testimonials along with the correctly filled up Application Form: Admit Card or Pass Certificate of Class 10th or equivalent indicating date of Birth and issued on or before crucial date 25.04.2018. Labels: Central Government Jobs , jobs in Oil India Ltd.